Verto H30 Series truss is constructed of main tubes (48,3 x 3 mm) and diago­nals (16 x 2 mm). 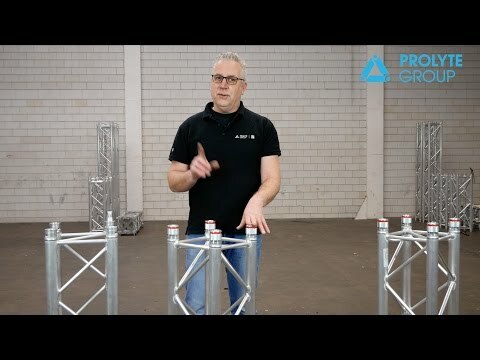 Equipped with the Verto coupling system, the Verto H30 truss is fast and easy to assemble. The Verto H30 truss can be found in rental fleets all over the globe, where its optimum strength and flexible application possibilities makes it well loved and much used. H30 truss is available in a square profile and a range accessories.